A new music record shop opened in Stanford Hill, Hackney, London in 1959, the owner took their initials and called it R&B records. A young jewish couple, Rita and Benny Isen (later know as King) begain selling records and cassette tapes. The area had a fairly large West Indian community and it was not long before Jamaican records were stocked and sold in the shop. In the early sixties Jamaican music based record labels were emerging in the UK such as Melodisc, Blue Beat and Island records. Ska records were played and became popular, in Clubs and Blues parties. In 1963 Rita and Benny entered the market with their own label, R&B Disc Ltd. They say Rita was the driving force behind the business. Graeme Goodall who had the Doctor Bird label became involved. Little did they know that records on their label, would be worth a considerable sum nearly 49 years later. Such as JB 169 Vernon Allan Babylon issued in 1964 would sell for over £500! (2013) It was not long before the shop became a vocal point for the local youth and the Mod craze, which was soon to emerge. The first issue was JB 101 I'll Come Softly by Hortense Ellis backed on the B side with I'm In Love by Hortense and her brother Alton Ellis. The material issued came from Duke Reid's Treasure Isle Studio and Coxone Dodd's Studio One and many other local labels. Rita traveled to Jamaica and brought back the master tapes that were to be issued over the next two years before a new label was added Ska Beat. The first issue was JB 125 Watermelon Man Ska by Baba Brooks Orchestra. Up to 1967 they issued around 130 all are very collectable, and some fetch hundreds of pounds. Other labels followed Port-O-Jam and Caribou, and in early 1964 Ska records were in the UK charts. 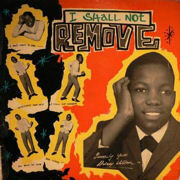 Lord Tanamo had a single issued in 1965 JB 224 In The Mood For Ska and this was a Coxone Dodd production . 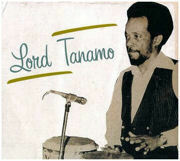 Lord Tanamo (Joseph Gordon) born in Kingston, Jamaica, he had been singing Mento and Calypso since the 1950's. He also played the Ruma Box and sang as lead vocalist with the Skatalites. He recorded for Coxone Dodd, Bunny Lee, King Edwards and L. Pottinger. He later had a number one hit record in Jamaica, with his version of Brook Benton's Rainy Night In Georgia in 1970. Issued in 1965 Norma Fraser JB 223 Everybody Loves A Lover a real upbeat ska tune, it was the B side of Heartaches. Norma Fraser recorded for Coxone Dodd and had many records issued on the Studio One label. Her first UK single was a B side called Simple Things issued on Port-O-Jam PJ 4005 in 1964. 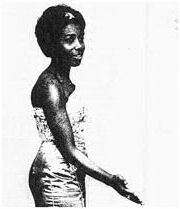 Norma Frazer became known through her hit Jamaican recording of The First Cut Is The Deepest, completed in 1967 for producer Coxone Dodd, it was issued on UK on the Coxsone label. A mint copy of Ska Beat Everybody Loves A Lover has been sold for over £200. Again from 1965 Sudden Destruction a minor key instrumental by Johnny Dizzy Moore issued as the B side of JB 204 Soulettes Opportunity, and credited to Dizzy Johnny and The Studio 1 Orchestra, and produced by Coxone Dodd. Johnny Dizzy Moore was a trumpet player and a founder member of the Skatalites. He attended the Alpha Boys School in Jamaica, while at the school he took up the trumpet and studied musical composition under bandleader Ruben Delgado. In October 2007, Moore was awarded the Order of Distinction for his pioneering work in popularising Jamaican music. He died in 2008 at the age of 69. 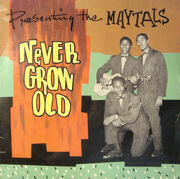 Only three LP's were issued on Ska Beat, JB 1112 Delroy Wilson I Shall Not Remove, JB 1113 Presenting The Maytals Never Grow Old and JB 1111 Jump Jamaica Way by Various Artists. This LP is the rarest of all UK Ska albums and sells for large sums. Finally, all the major Jamaica artists can be found in the Ska Beat catalogue. Alton Ellis, Baba Brooks, Clarendonians, Dandy, Derrick Morgan, Don Drummond, Doreen & Jackie, Laurel Aitken, Jackie Opel, Justin Hinds And The Dominoes, Lee Perry, Roland Alphonso, The Caribbeats, The Maytals, The Skatalites, The Soulettes, The Wailers, Trevor Wilson, The Mighty Vikings, Winston Samuels. Which records are collectable, all of them!